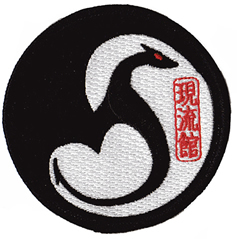 We are pleased to announce that we have Genryukan badges. We are very happy with the way they came out. Christophe will have a batch available on monday if you wish to purchase one (it is not compulsory to buy one). The cost is £2 per badge.